Web Hosting Directory collects and uses personal in various ways including submission forms, registration, order forms, and emails. The information collected is used for specific business purposes and is not sold or distributed to any third parties. It is used only for the purposes which the visitor intended, be it site review, ad placement, etc… The primary exception to this policy would be if information were required to be distributed to any law enforcement person or agency as required by local laws. Payment information is processed through a third party credit card processor and is not collected by Web Hosting Directory. This processor does not share, sell or otherwise use personal information for secondary purposes. Information is stored in user profiles. We do not use computer generated information, such as IP addresses, to seek additional personal information. All personal information is protected and used only by those utilizing the information for the specified business purpose. We do, however, share aggregate information such as page views, browsers, unique visits and other broad information with our partners and advertisers. No personal information is shared. If a user’s information should change, such as email address, living address, phone number or the user wishes to unsubscribe from the service, the user is able to make these changes on the website by contacting us. We do our absolute best to protect our website from unlawful or unethical breaches in security. We take advantage of every measure available to protect our users’ personal information both online and off. Please contact us for any additional questions on information security. 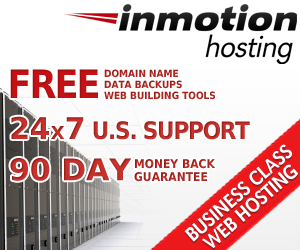 Web Hosting Directory contains links to other websites including submitted sites and advertisers. We screen these websites as much as possible to protect the interest of our visitors. However we are not responsible for the privacy of visitors or the use of collected information on these websites. We strongly encourage users to read the privacy policies on any website visited.